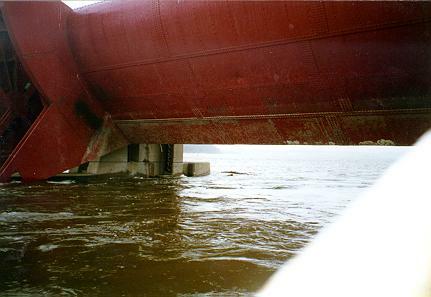 The Mississippi River flooded due to warm weather and heavy snowfall in the spring of '97. 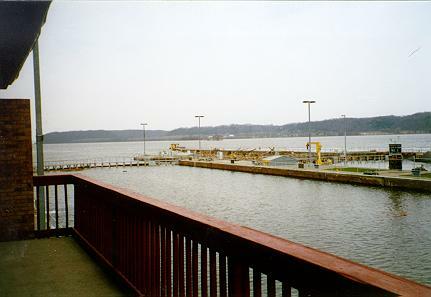 The river crested in Dubuque on April 17. I took these pictures on April 18, when the river had already fallen a foot. This is the dam gates wide open, and the locks flooded over.